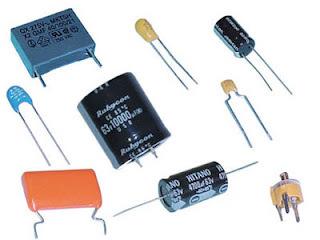 The capacitor is an electric component capable of storing electrical energy and restore it during its discharge. It is composed of two metal plates called armatures placed facing one another and separated by an insulator called dielectric variable thickness. When applied between two plates of a capacitor voltage U, it accumulates two opposite charges + Q and -Q.
e m: thickness or distance between the two plates.